If you are perceived to be a witness regarding a legal case, your witness statements will be documented in a witness letter. 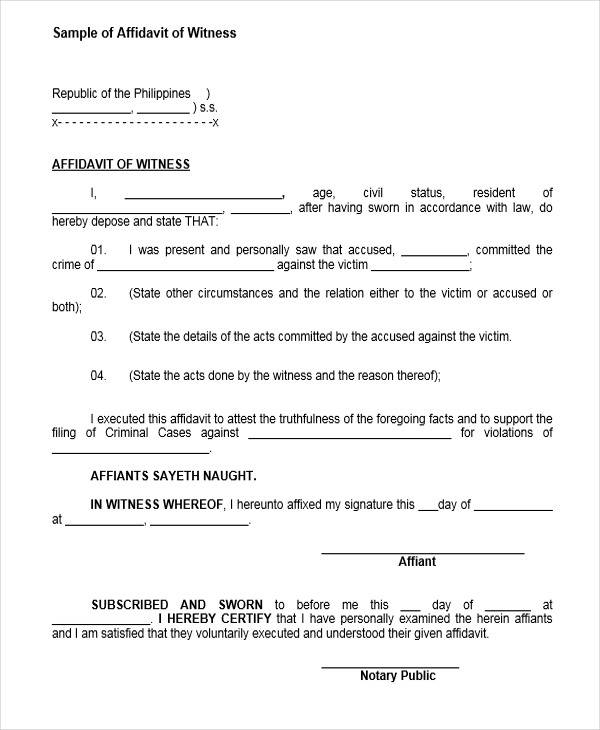 We will be giving you a few witness letter samples that you can refer to such as character witness letter, Accident Witness Letter, Legal Witness Letters, and much more. 1. Write about what you know. 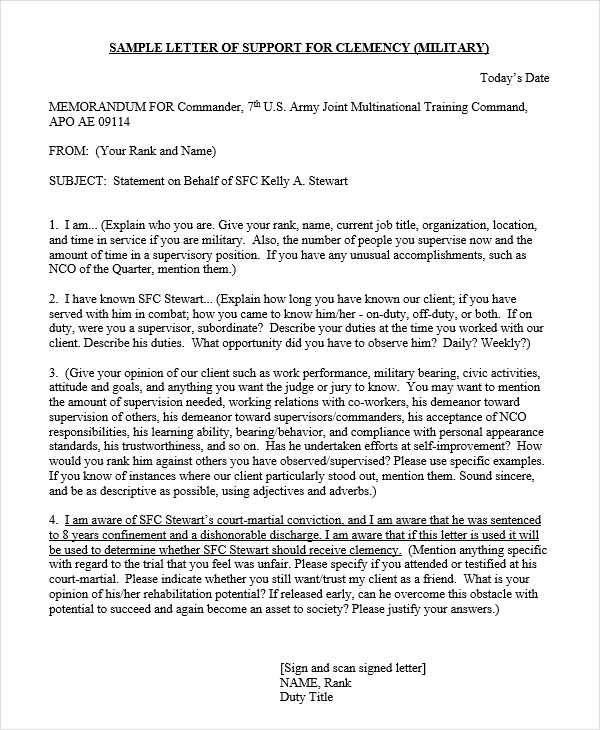 You need your letter to be as factual as possible. This should only state what you saw, heard, or did while the crime was happening. Rumors should never be included. 2. 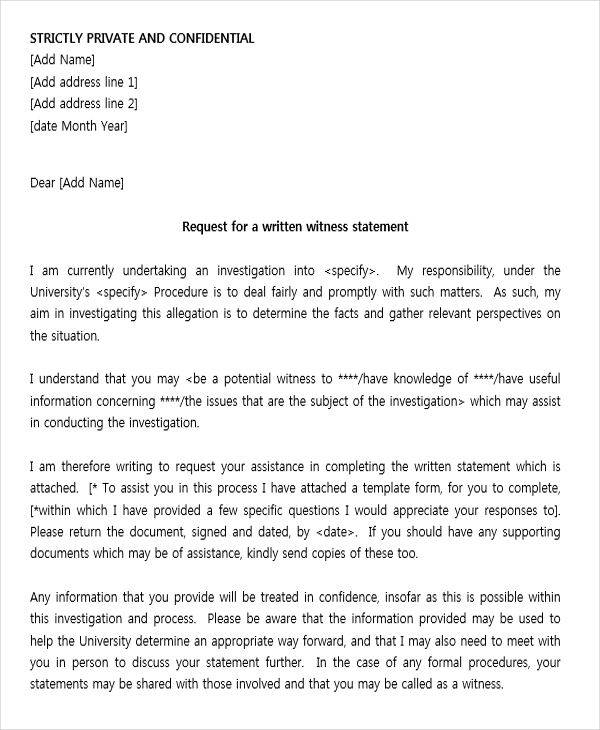 Include all pertinent information regarding the case that was filed.You may also see personal reference letters. 3. Dates/date ranges should also be included. 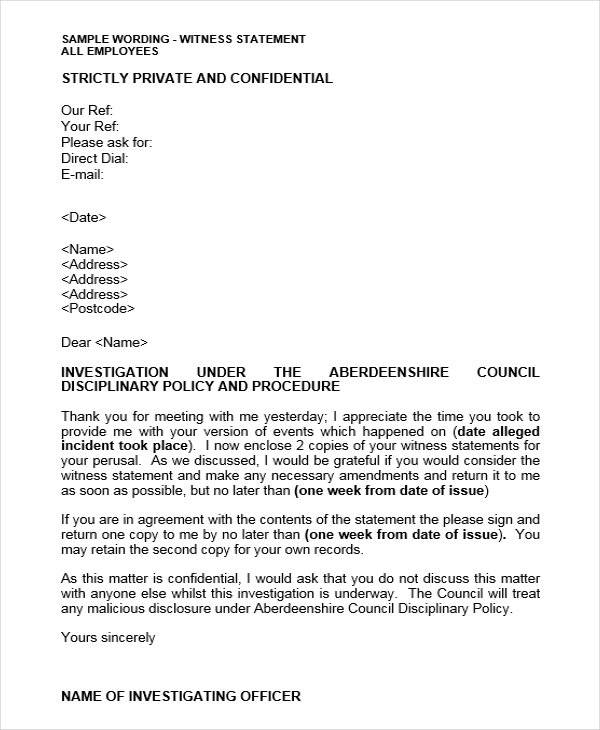 Being exact or on point about the dates is highly preferred, but should you be having trouble remembering exact dates, this is where date ranges play a big role.You may also see bank reference letters. 5. If you ever have any supporting documents to attach, you are free to attach a photocopy of the document/documents. 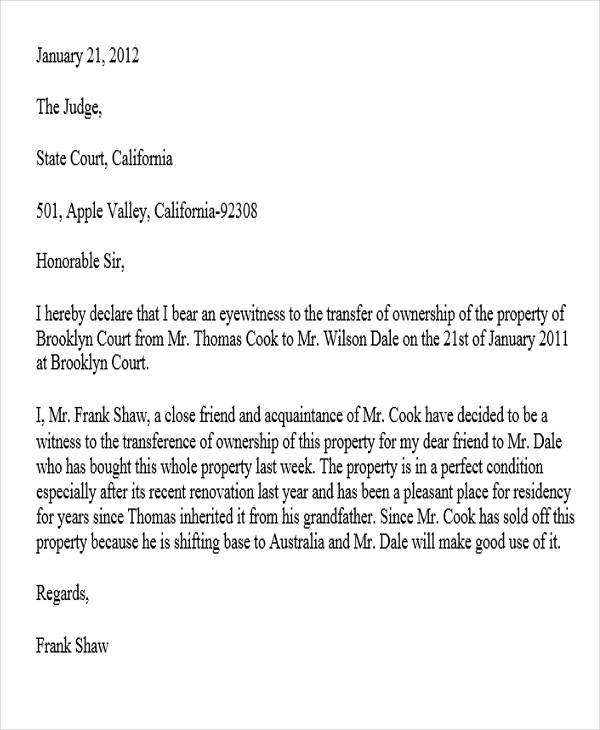 More reference about writing letters can be found at Letter Examples. 1. Research about the kind of immigration proceeding that the person will undergo. 3. Check out at least witness letter template and use it as a reference for writing one. 5. Provide specific examples of the characteristics of the requesting party. Be as concrete as you can in giving out these details. 6. End your letter on a strong note. 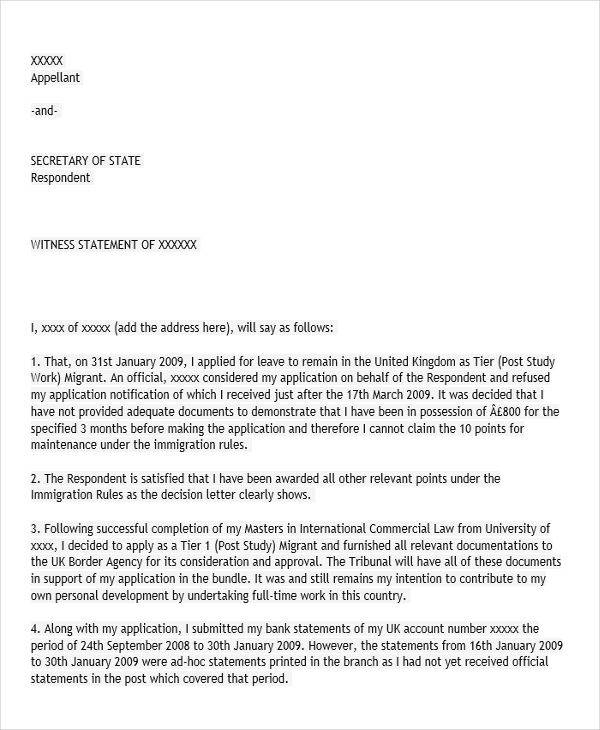 Make sure that you have a good grasp of what the immigration witness letter is for and recommend the requesting party for this. You may also want to check out sample travel request forms. 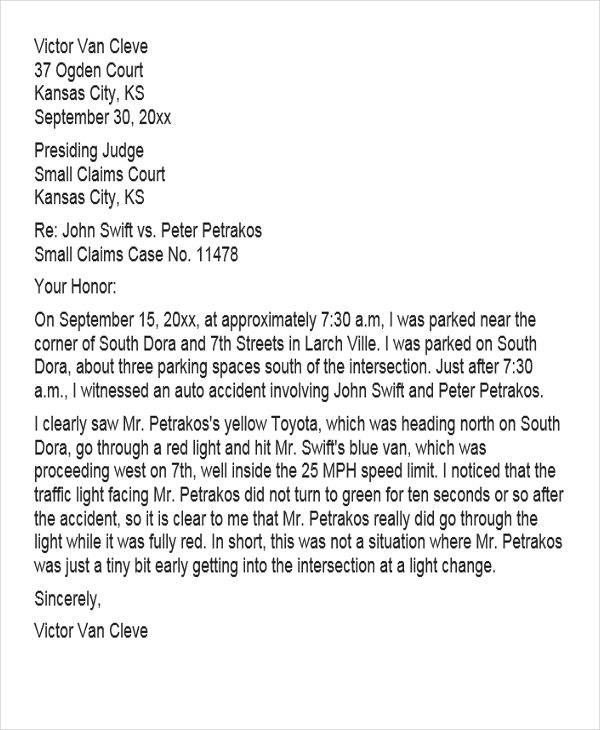 What Is a Character Witness Letter? A character witness letter is a legal document used in court and it will include your opinions about a person who broke the law. It is considered to be more solid if you have known the person you are writing a character witness letter for a long time or if you are in constant contact with them. You will also be considered a reliable witness if you have not faced any criminal charges or have not broken the law. 1. 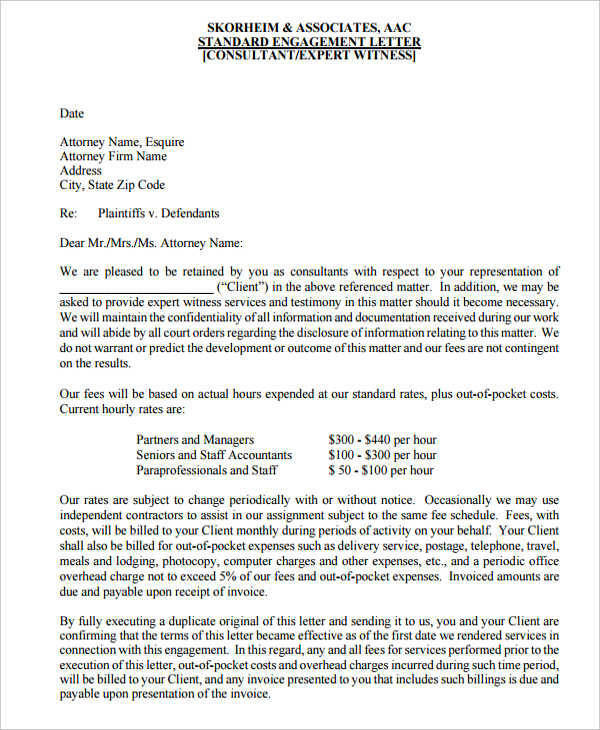 This document is considered to be formal in nature, so using formal language is also preferred. 3. Ensure that you format your letter properly. Do not forget to use the formal letter format in writing your letter. 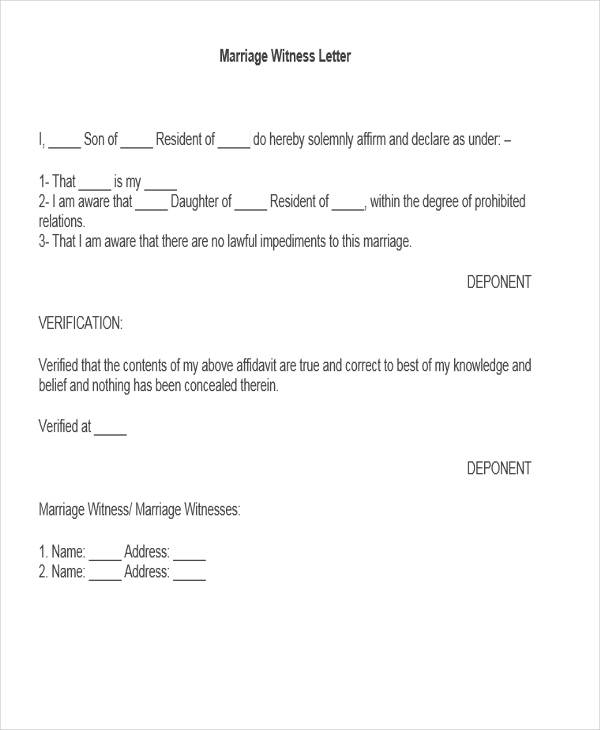 You may refer to formal letter examples to get more ideas of how you can format your witness letters. 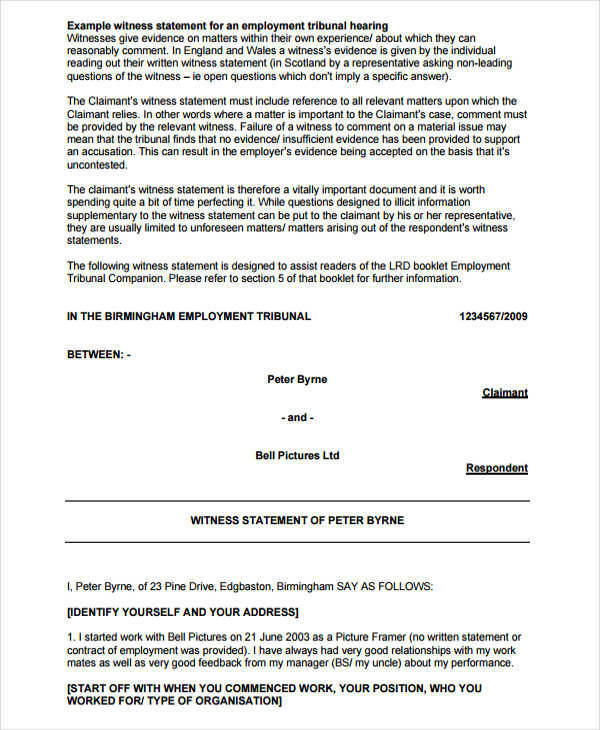 Who Gets to See the Witness Letter? The witness letter is best prepared with a lawyer present to ensure that all statements have been properly documented by the witness. 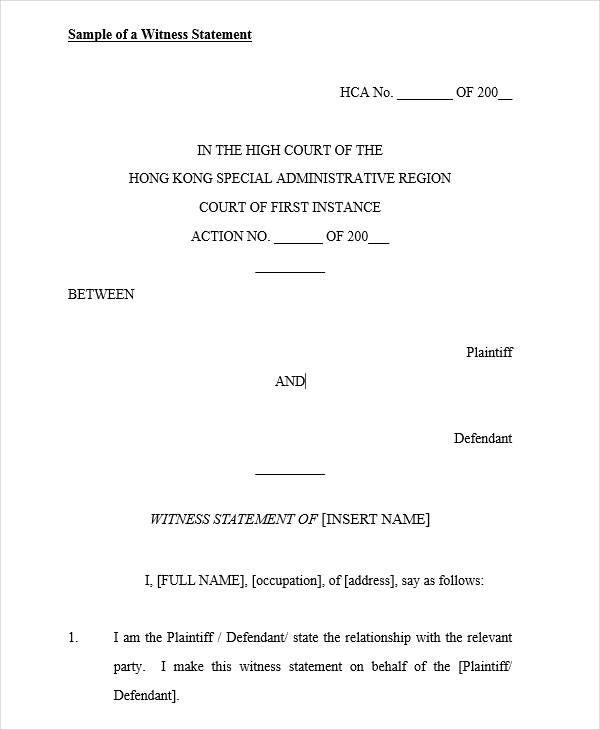 After all the preparation and the proofreading of the letter, the letter will be signed by the lawyer and will typically be disclosed to the other party involved in the case. The other party will also be doing the same to make everything regarding the case as transparent.You may also see statement letters. 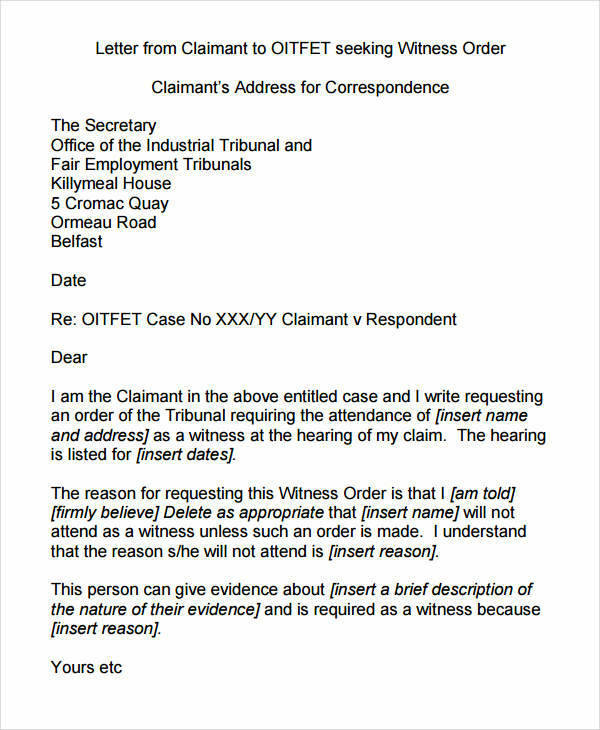 Typically, a statement of truth is included at the end of a witness letter. This statement will state that everything that has been stipulated in the letter is believed to be true and accurate. 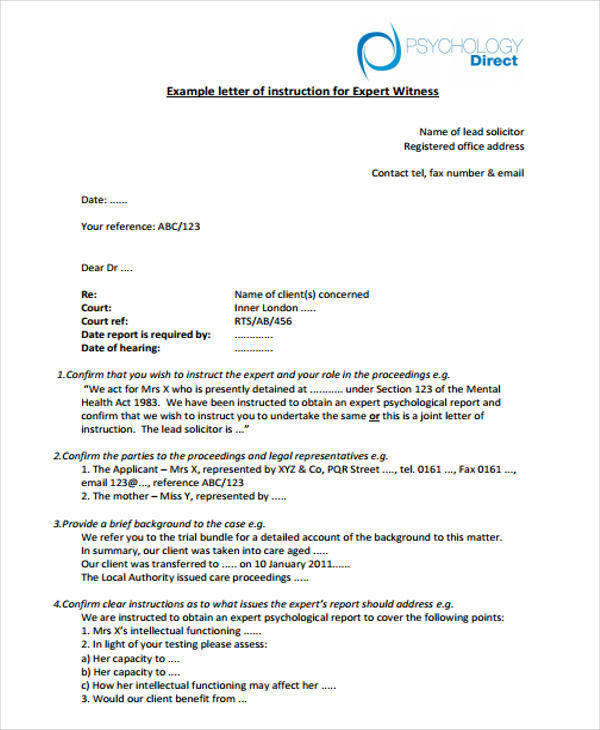 Our Sample Witness Statement Templates can help you draft top-notch witness letters that you can use in court. These witness letter samples have been ensured to be high in quality making them great references for drafting a witness letter from scratch. 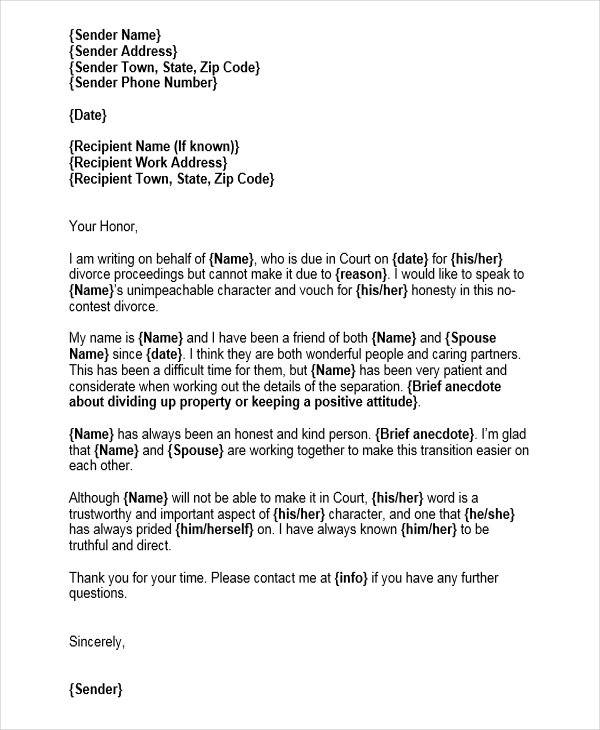 What Is a Character Witness Letter for Divorce? A character witness letter for divorce will cover matters that is considered to be essential in determining whether the reasons for the divorce is deemed valid or otherwise. It is wise that the knowledge is firsthand as rumors and gossips are not a valid statement. 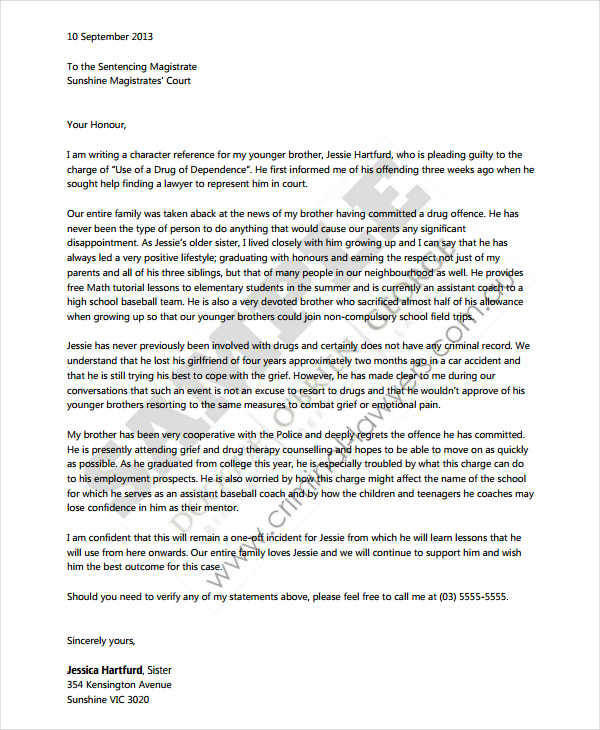 Child custody may also be covered.You may also see complaint letters. Making use of the statement letter samples present in this article makes the letter-writing process better and easier. What’s even better about the samples is the fact that they are offered at no charge at all and also that they are of high quality. With file formats in PDF and Word Document, it is very easy to edit and customize in whatever device you want to use. Just download the sample you want to use and start drafting those letters. 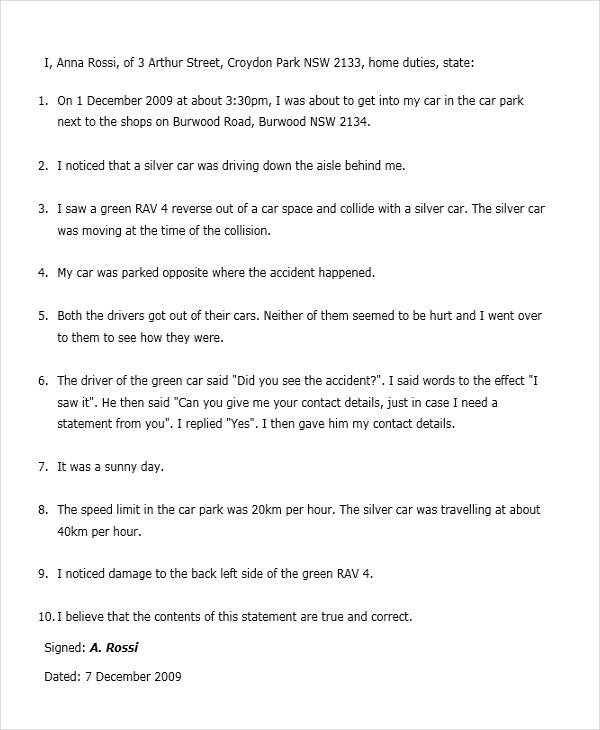 You may also check out the samples we have at sample witness statements.